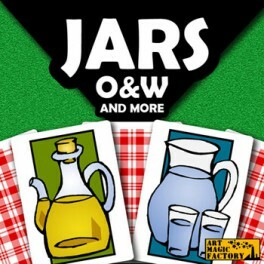 JARS version, displays a jar of water and a jar of oil. 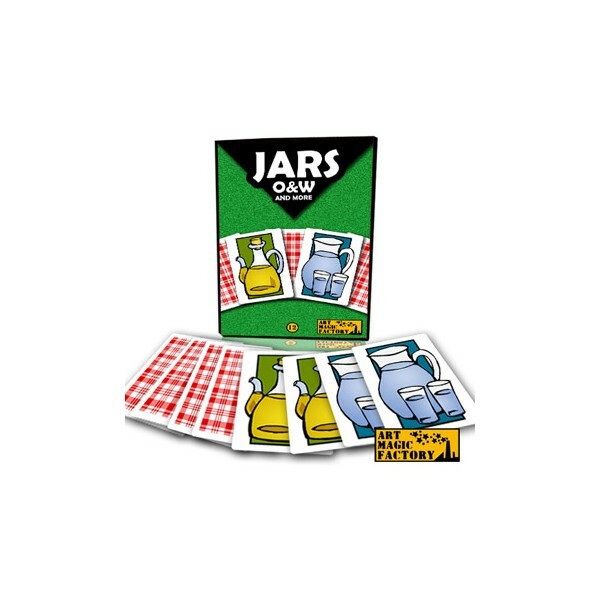 With fun detail on the back of the cards, representing a typical tablecloth. 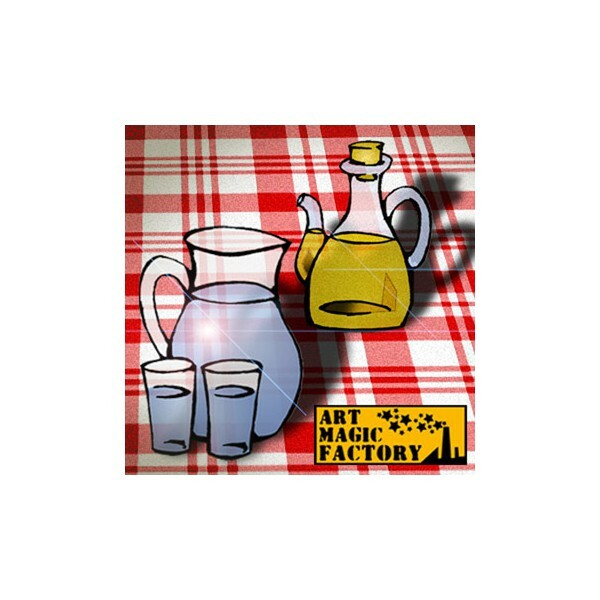 Oil and Water is a classic magic plot! Jonh Bannon, Ed Marlo, Juan Tamariz, many magicians have their version, but ... do you have your own version? This is a product for original magic. Forget tedious red and black cards. Ideal for "Follow the Leader", "Meeting of colors" or "Out of this world” and other magic tricks. 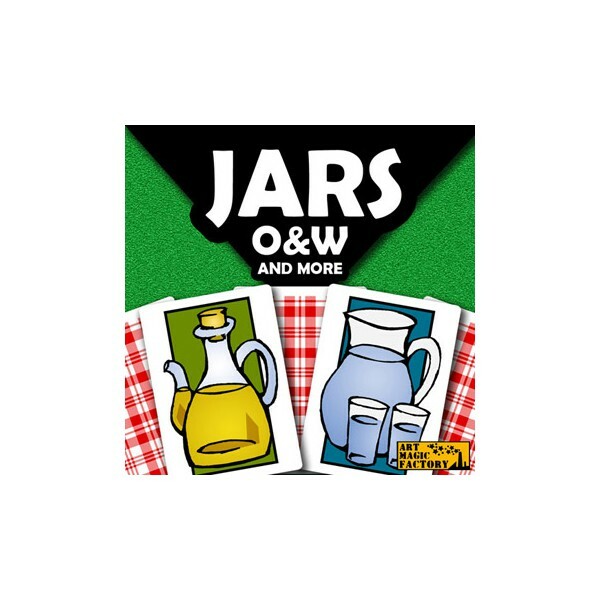 JARS version displays a jar of water and a jar of oil. With a fun detail on the backs, representing a typical tablecloth. The most culinary oil and water card trick. Can you imagine the fun and original performance? Do you have your own cards for your version of the trick? Tired of using the 9s and 6s? Do you use repeated cards? Designed by magicians, for magicians. In great detail. Now it makes sense to say that the water does not mix with the oil. More visual than ever. More logical than ever. Be the first to perform it. Basic routine, clear instructions in English and Spanish with illustrations.